The car dashboard. You will spend most of your time as a car owner facing it. Many car companies have been trying to revolutionize the way dashboard information is presented to you. Honda has it’s split deck design with 2 levels of meters. Some companies position the dashboard meter cluster in the middle like the Toyota VIOS, Nissan X-Trail and even our Perodua Kancil. I kind of like Citroen’s approach with the Citroen C6’s dashboard. 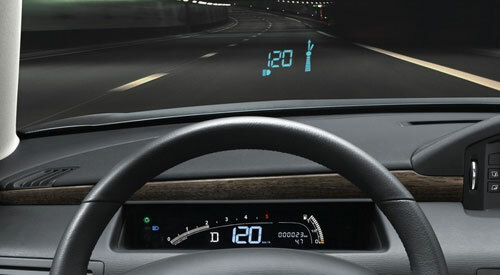 Nice and compact display shows indicators, RPM, speed, gear shift position and fuel level in digital form, and speed is projected on the windscreen via a heads-up display.